Or view larger version. Entering Black Hills, Carmichael's Cut, Granite Canyon. 1868. Andrew J. Russell, photographer. Imperial collodion glass plate negative. Collection of Oakland Museum of California. ACCN # H69.459.1845. 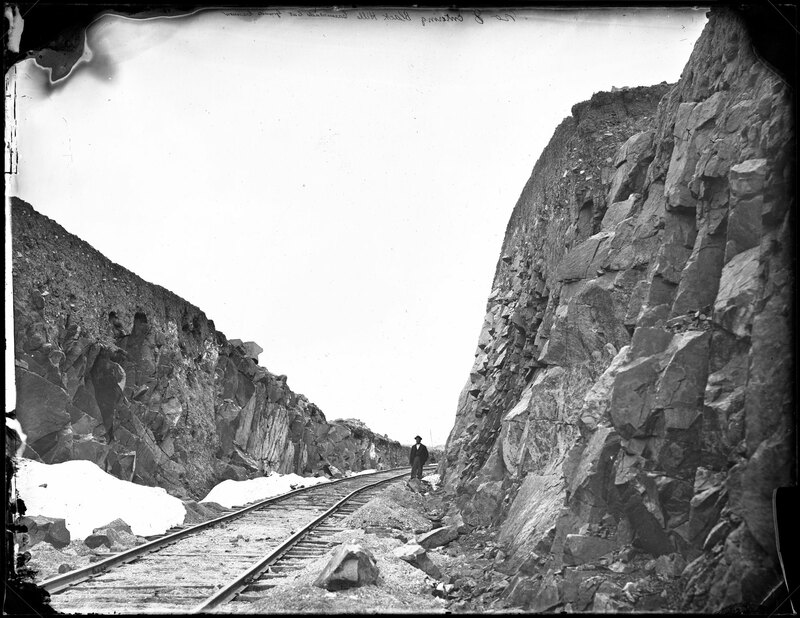 A railroad cut or cutting is the right-of-way cut through a hill so the rail track can lie relatively flat.